Meetings take place with coffee mornings on the second Thursday of the month at TOAST café and series meetings usually on the third Thursday of the month. Whitstable meetings take place on the last Thursday of the month at THE BUBBLE café. Please contact Asha for venue details for the series meetings. For meetings at TOAST, please arrive from 10:00am for 10:15am start. End 12:00pm. For series meetings and meetings at The Bubble, please arrive from 10:30am for a 10:45am start. End 12:30pm. There will always be the opportunity for those present to address burning issues and discuss other aspects of breastfeeding, or to talk to a Leader about a specific breastfeeding issue.As always at all LLL meetings, mothers and their babies, toddlers and pre-school children are welcome. Please join the LLL East Kent: Herne Bay Facebook group for up-to-date information on meetings. Please note, there is not a meeting on Thursday 18th April. Please note, there are no meetings on Thursday 20th June at Herne Bay or on Thursday 25th July at Whitstable. 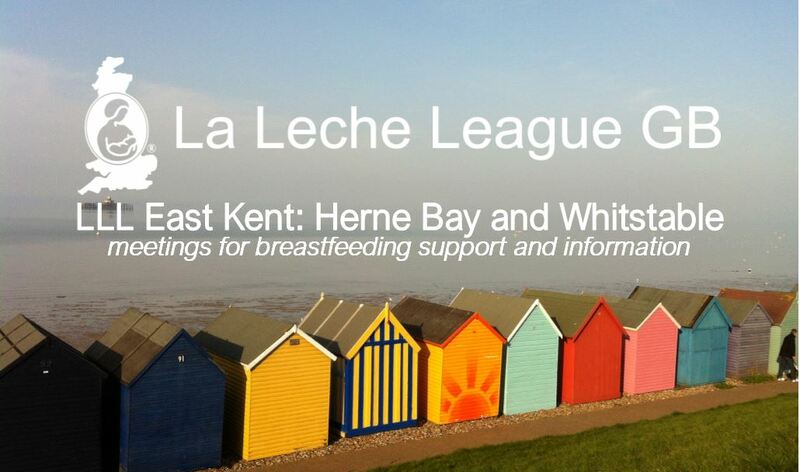 FIND US ON FACEBOOK: LLL East Kent: Herne Bay Meetings for Breastfeeding Support (closed group for online support and meeting reminders) or contact Asha for more details.